I bought this very unloved little piece of furniture a couple of weeks ago from a local shop which I sometimes pop into. I paid for it, but didn’t have my car with me at the time, so promised to collect it in the morning. A week later I popped into the shop again and saw the drawers in the corner of the shop with a big SOLD sign on it. Damn I thought, missed it. Slowly (not even suddenly) I remembered that it was sold to me! If I hadn’t gone back into the shop I honestly don’t think I would ever have remembered it. When you are setting up a small business as many of you will know, your head is absolutely stuffed with things to do. When you are a sold trader like me, there isn’t anybody to delegate anything to and so you are juggling everything from orders and postage, to accounts and admin. Then of course there is the problem of trying to find time to be creative and actually do the thing you love doing most, the thing which inspired you to set up the business in the first place. 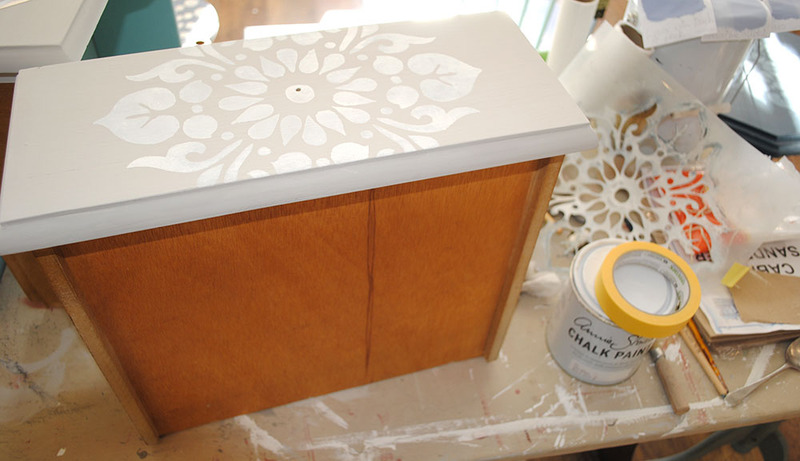 In my case, painting furniture and designing my stencils. That is why you have to absolutely love what you are doing when you decide to set up a small business. I have just had my first Saturday off since October, I am exhausted, but I have loved every minute of it so far. 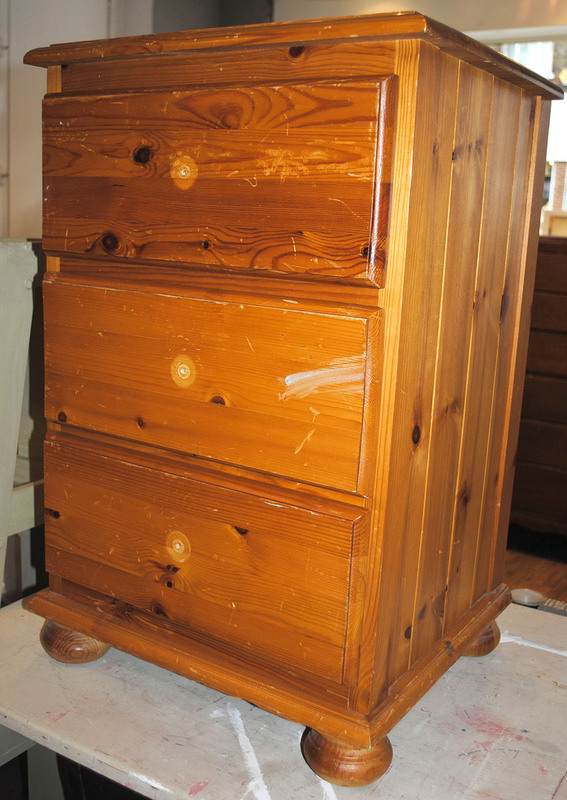 With regard to the little drawers, I think that my brain just said sorry, no room in here for anything else. 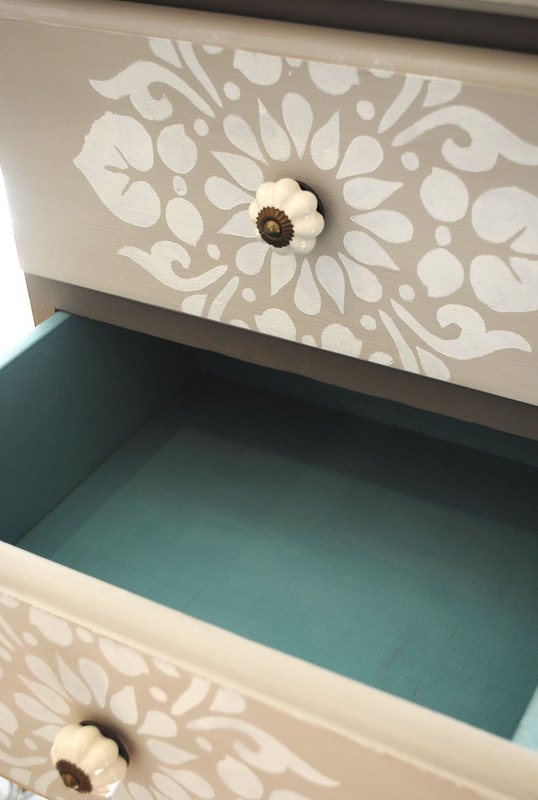 Lets just spit out that bit of information about an unloved piece of furniture! It was a kind of neurological ENOUGH ALREADY! Anyway, I’m really glad I found it again as I think it is now looking very loved. 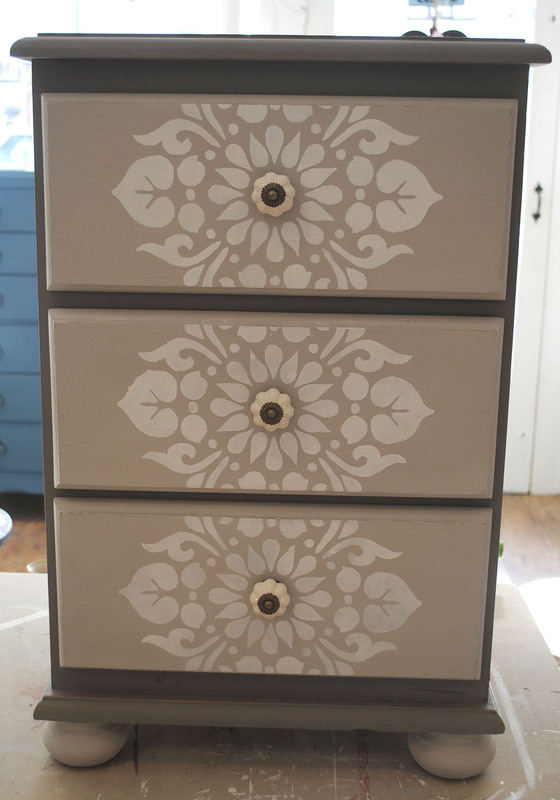 I have painted it using Annie Sloan Chalk Paint in French Linen with a mix of French Linen and Old White on the drawers. 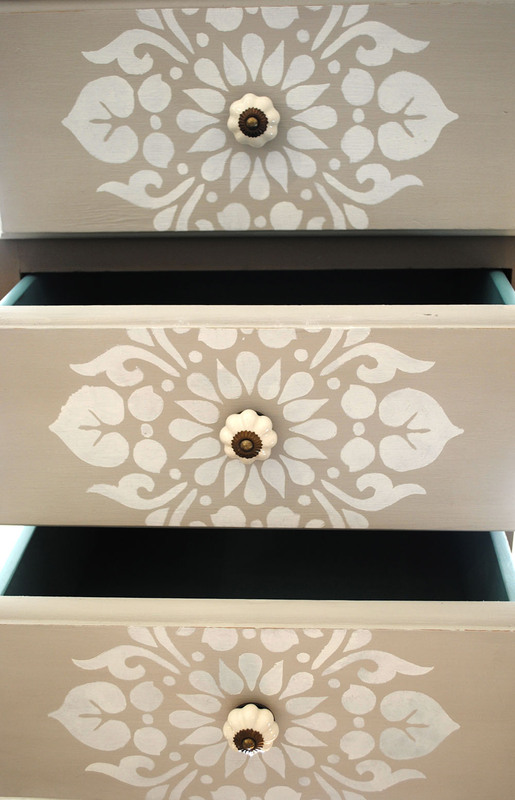 I added my Kota Stencil in Old White and then for a cheeky little surprise I painted the interior of the drawers in Provence, such a gorgeous colour. 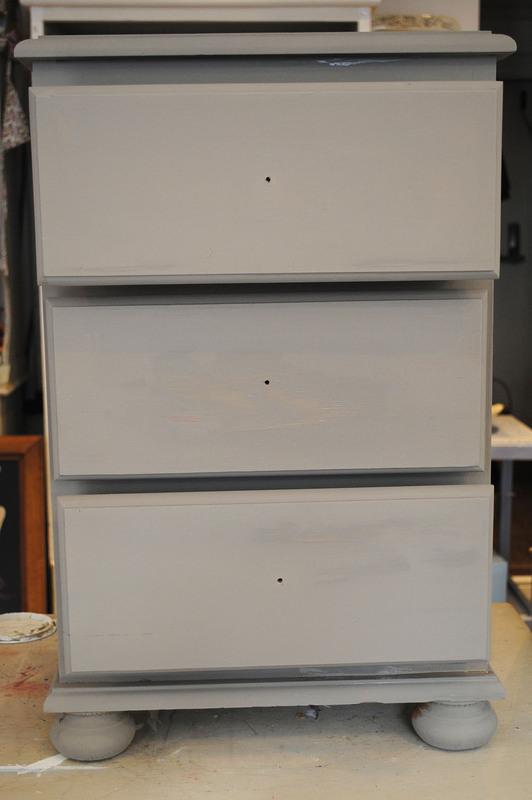 New ceramic handles and here it is, reinvented, reloved and hopefully soon to be reused.